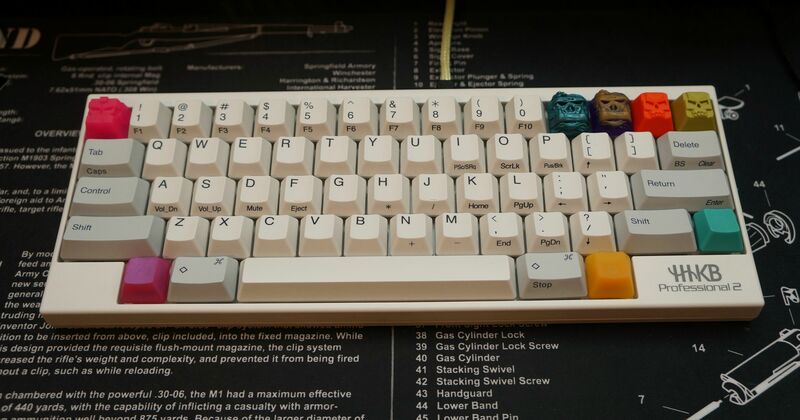 glad to see a follow GMK enthusiast. You still need a white on black. Well, the Miami will be close to that. 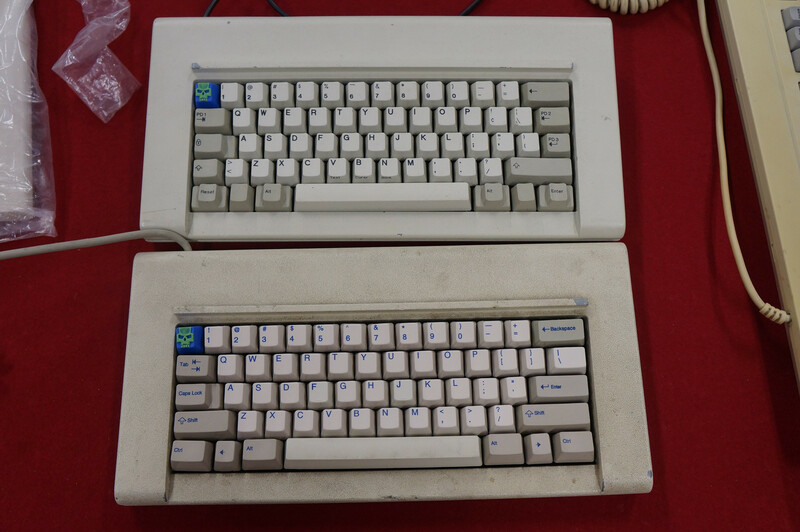 At least I didn't spend $200 each on RA and Olivetti! 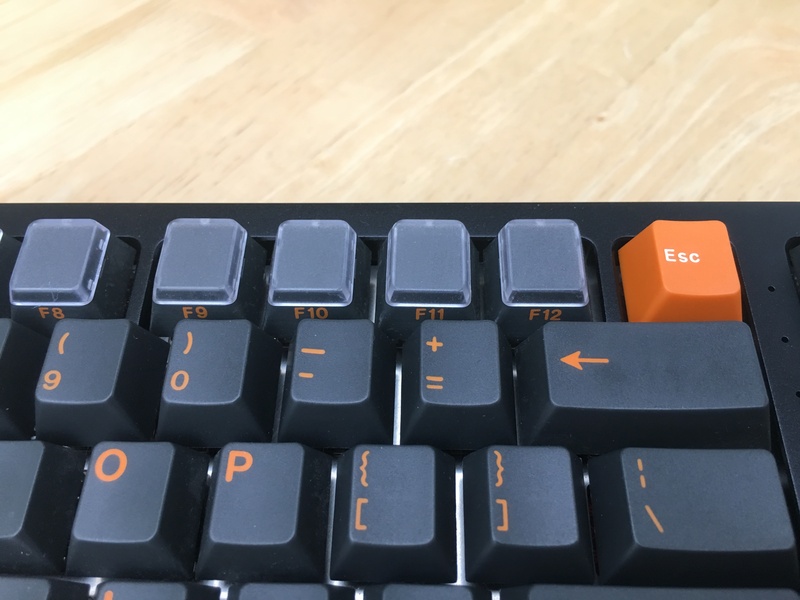 I never realized this before, but it looks like the left CTRL key has it's legends aligned to the left and the right CTRL key has it's legends centered. 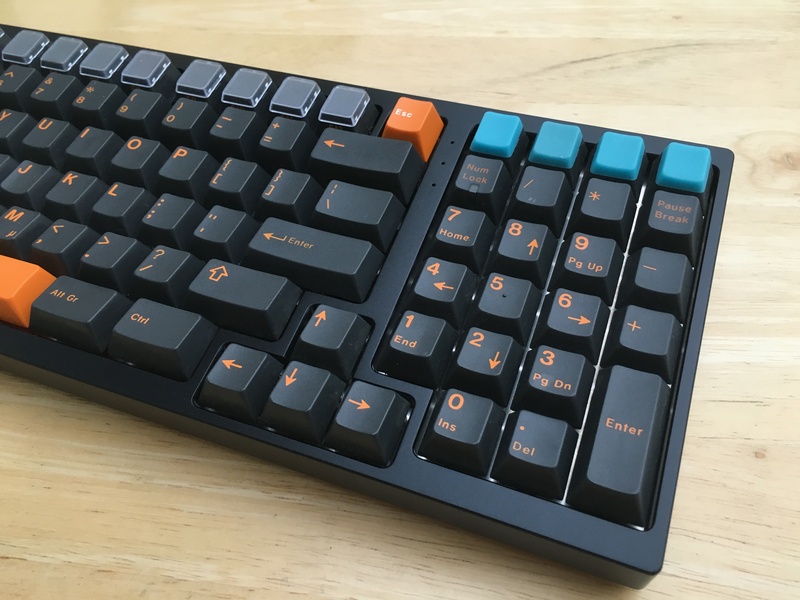 Cross-posting to spread the GMK love. Got mine today. Can't say I disagree. 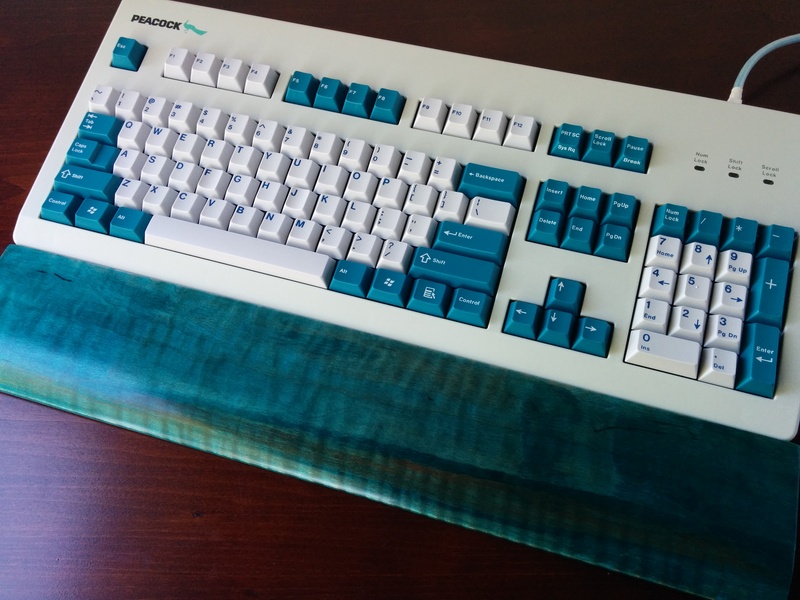 If the TA set had been the muted sunwashed teal color of the original pics, I would have loved it more than this. 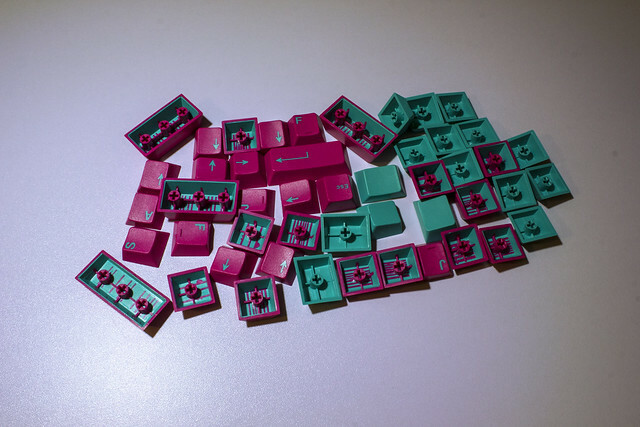 As is, I can't say I'm fond of the TA color in like 90% of cases. 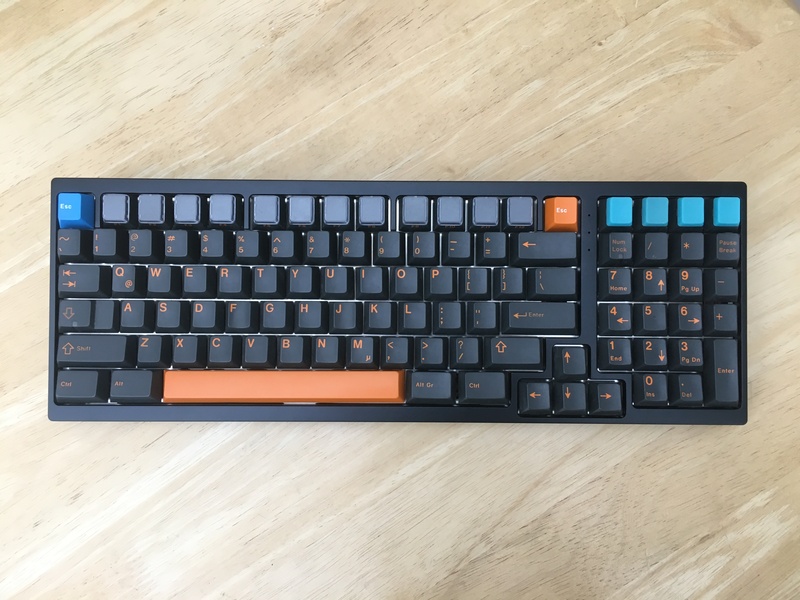 My first GMK experience, and it's love at first type. 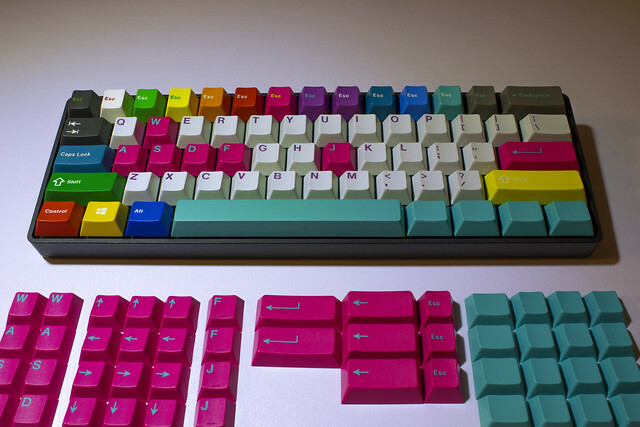 If only the set had mods with icon+text legends plus the "`~" and "\|" keys in both color combinations. Thanks for sharing! There are some nice combinations there - I particularly like SoulFree and your personal mix the best. Those last couple do look good though! The soulfree combo is amazing! 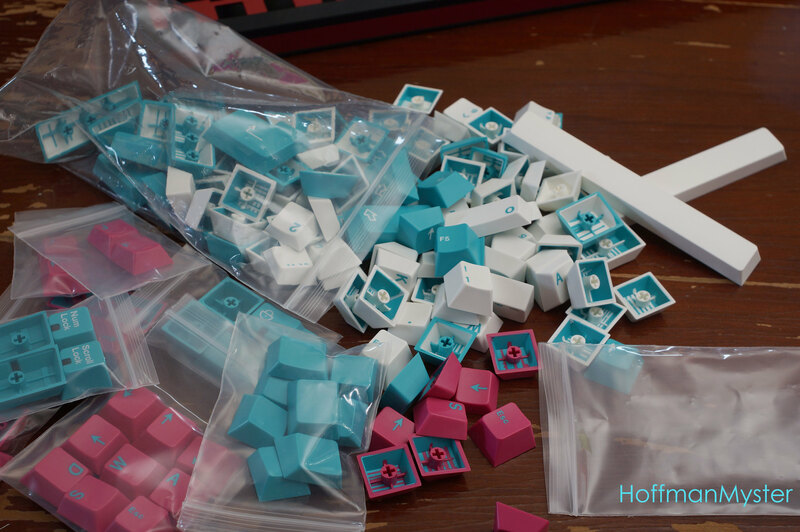 Why did I drop my order?! Ah, can't wait. Just once I'd like to get my GB order before Hoff though. This is a really great pic. I am on my phone so can't tell if this is high res, would love this as a wallpaper. 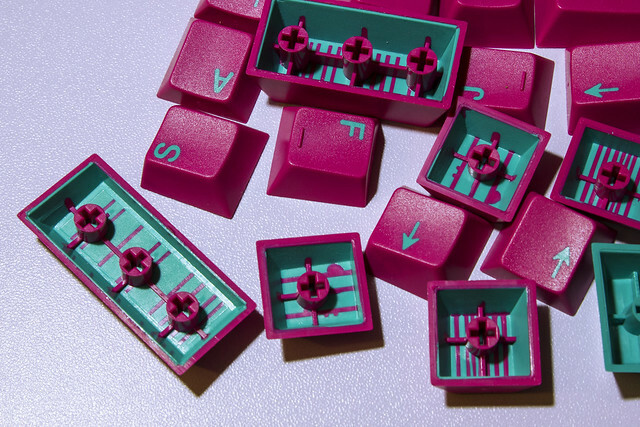 Nice, I use to have the Ivan's purple set, but I learned that I prefer the modifiers with legends and icons; for example, the enter key with an extra long arrow does not look as nice as the regular small arrow with the legend Enter. 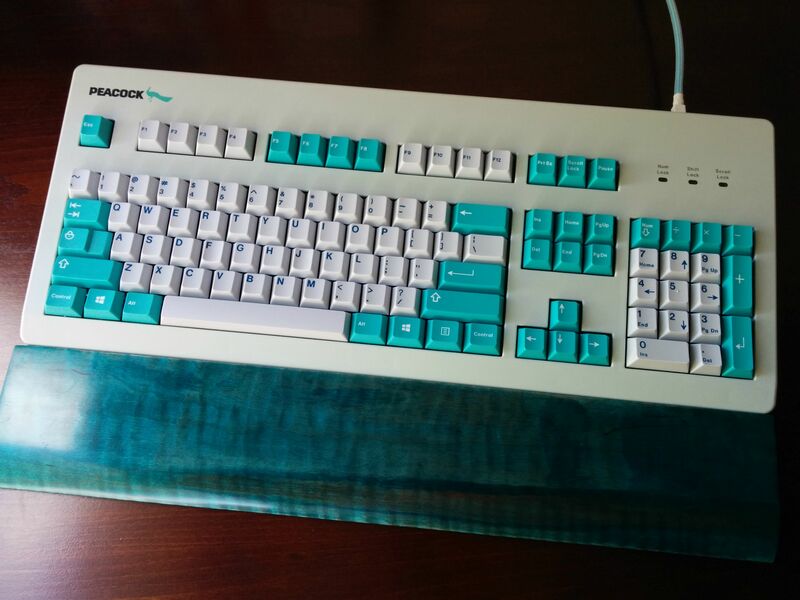 I know it is just me, but I decided to sell it. Hey thanks! Thought this thread might like. The images are as HD as Imgur will allow for, large enough for a wallpaper. I can see about uploaded it elsewhere like flickr but the quality is pretty good as it is. 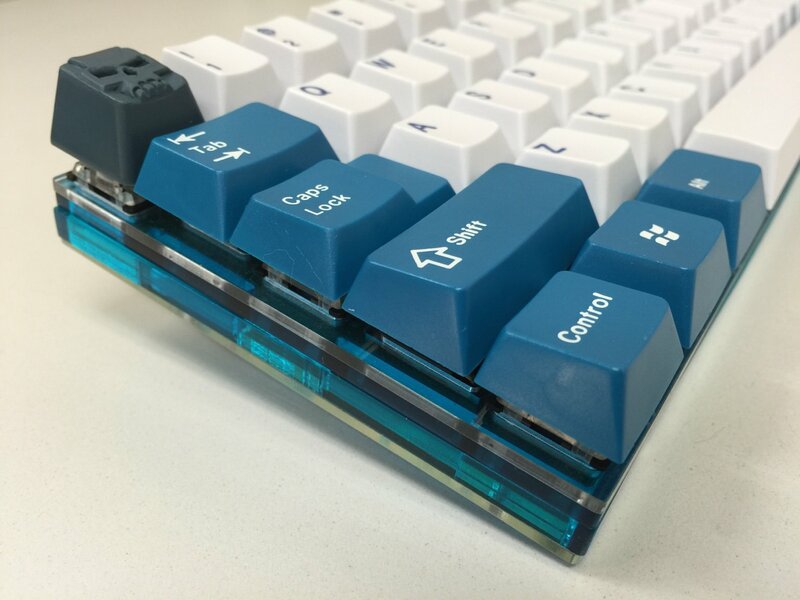 The windowed keycaps feng (of geekkeys.com) sold as a part of group buy, I haven't seen any around since really. 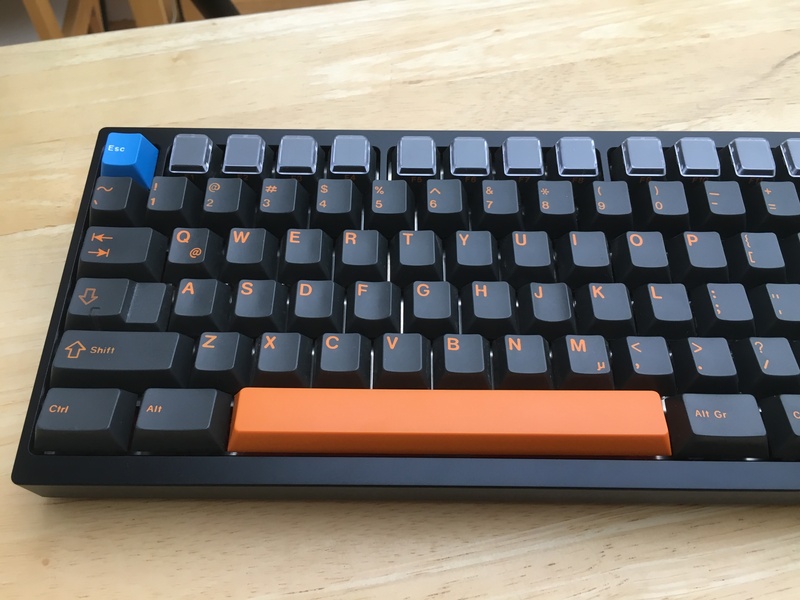 I have a DIY project in mind for them so I can't part with any either..
*Cross posting* After receiving the GMK TA for like 2 months, I finally put it on. 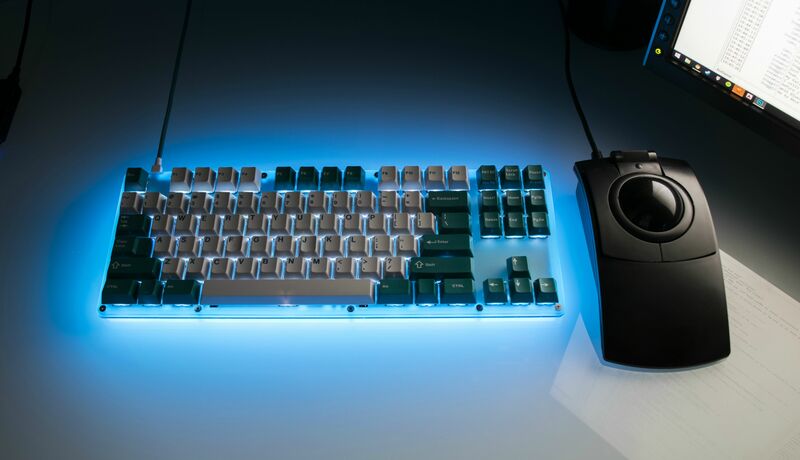 I must say that it look REALLY good on a keyboard, not so much on its on, but on a keyboard, it gives out a totally different perspective! I brought the 2TU by Kaliet to work since I have some free time today. 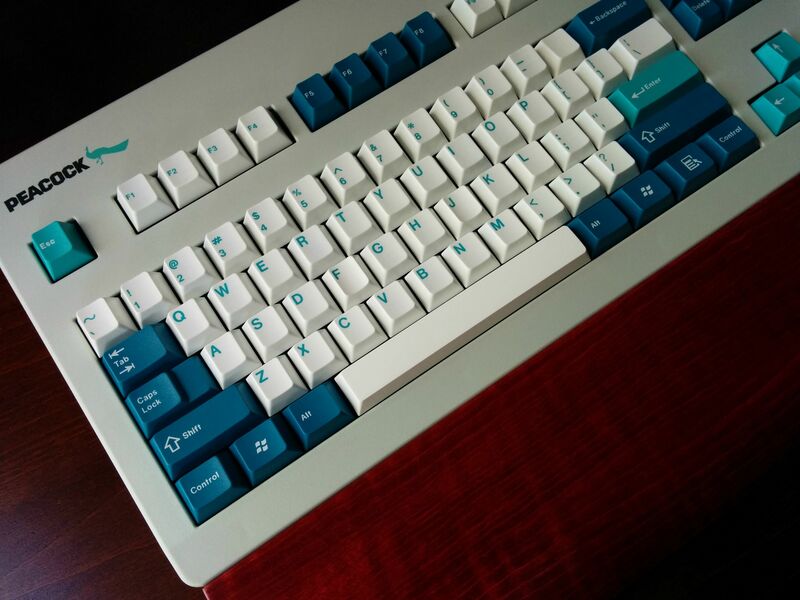 And I put the Triump Adler GMK on it. 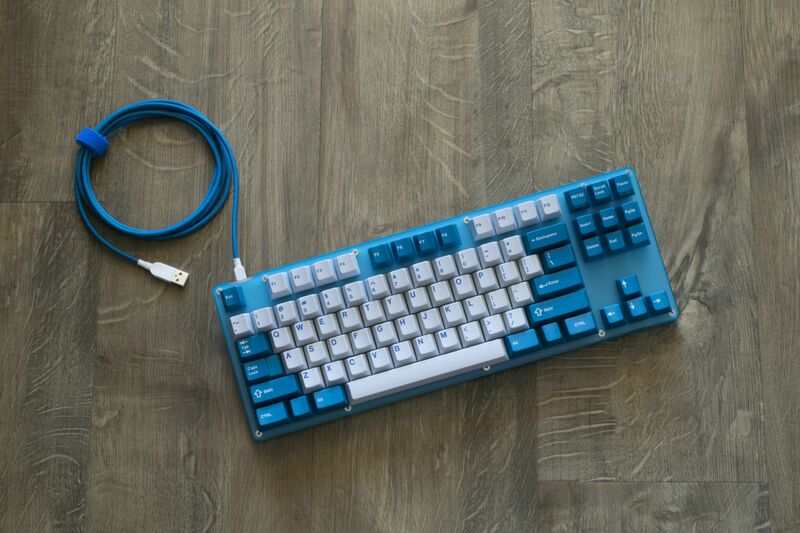 Surprisingly the shades match pretty well.. 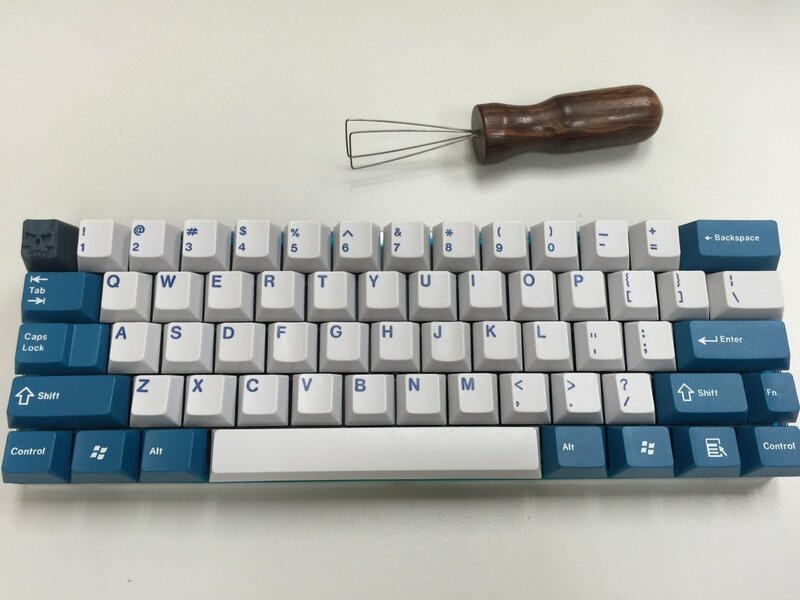 I think TA is going to be my favourite key set now! 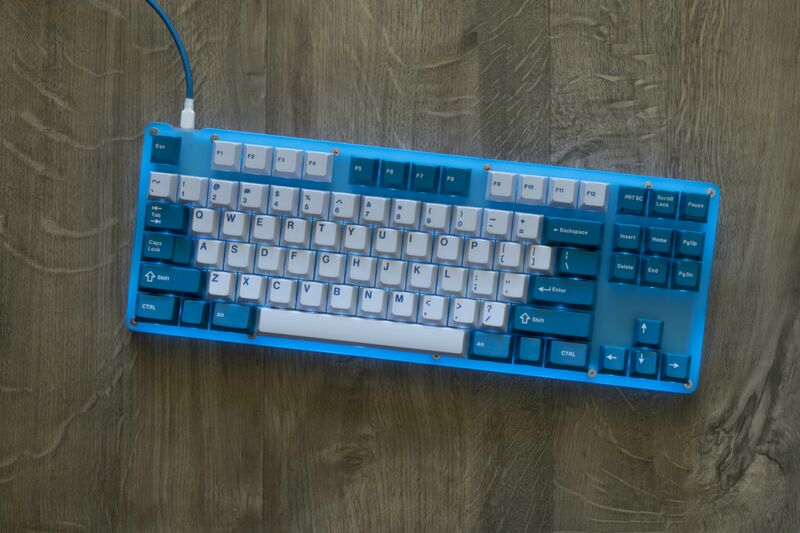 The EK Blue CC is too bright. The dark grey, pictured below, is the only other shade that I have that closely matched, sad panda face. 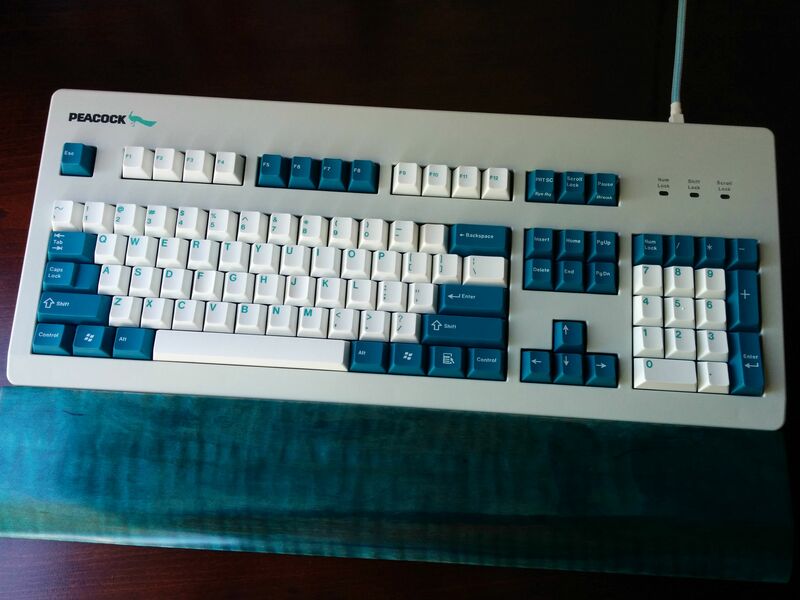 Luckily intelli78 has the foresight to include stepped Caps Lock and a Fn key. My 2TU is now complete! 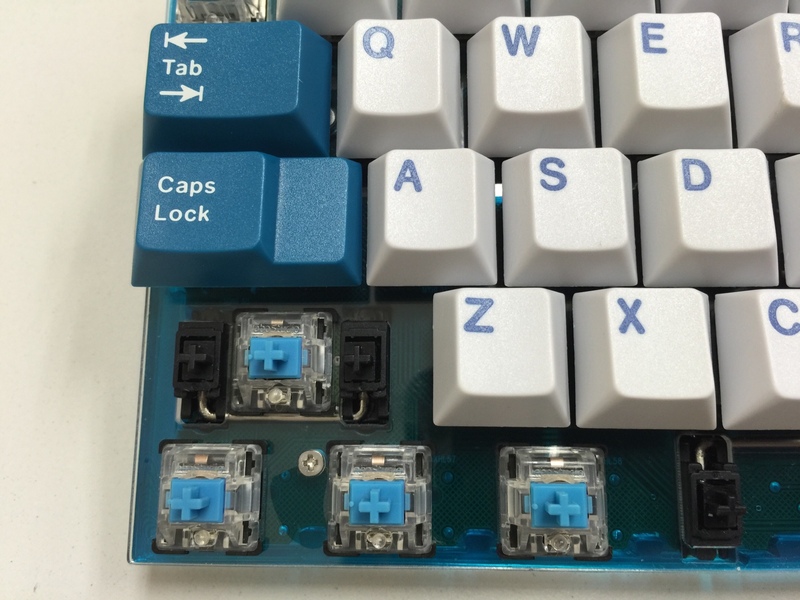 No need to mix with other key sets! 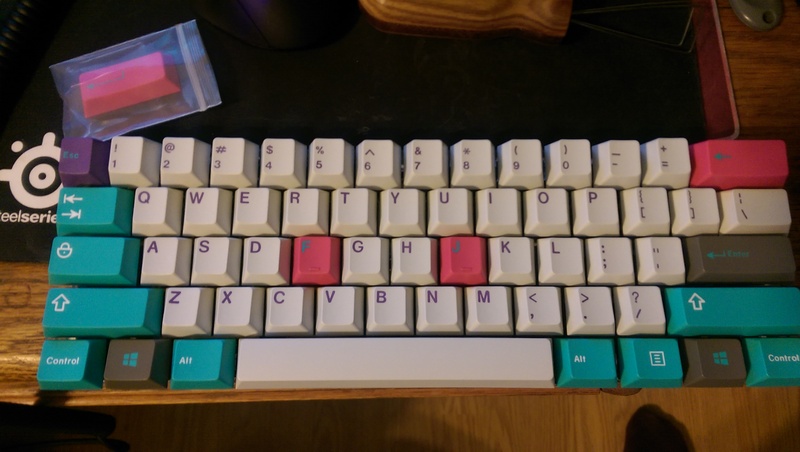 Edit: had to upload to Flickr, Imgur made all the pink caps purple..
Great shots. 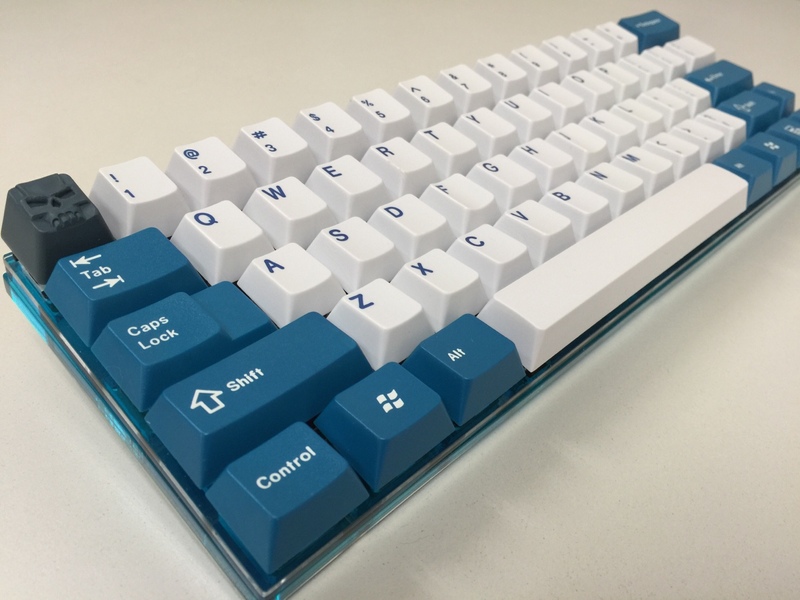 As a fellow GMK enthusiast I am impressed. I'll have to take a big family shot at some point to compete with you. 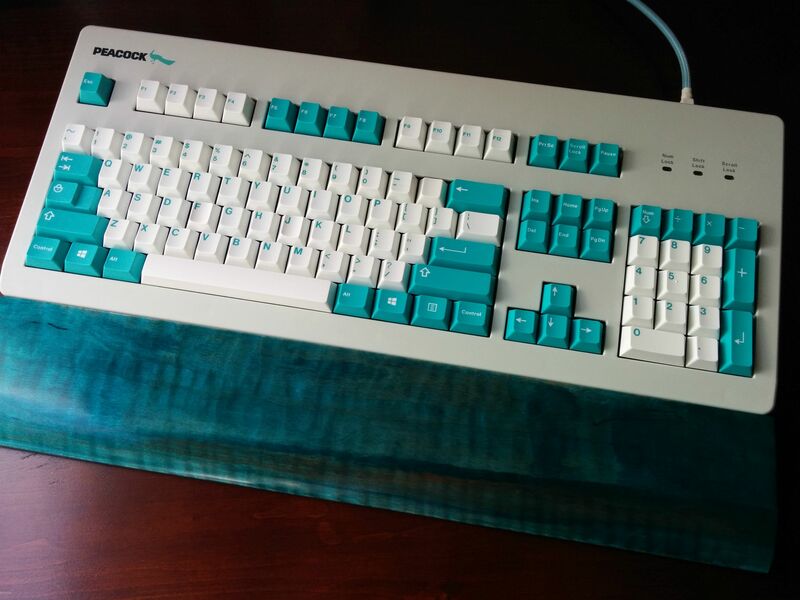 Wow colors are soo good on the Cyan GB! Really pops! 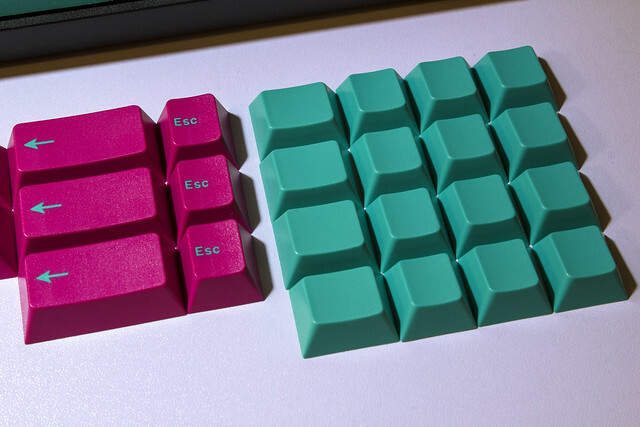 The contrast is awesome, surprised that this colorway (cyan on pink) hasn't been don't as full set yet. Your photos look awesome. Soooo color calibrated. In all seriousness they are very nice, as I think I mentioned in my PM. I always appreciate it when people make an effort to actually match their colors rather than throwing up whatever garbage came out of their potato cam. 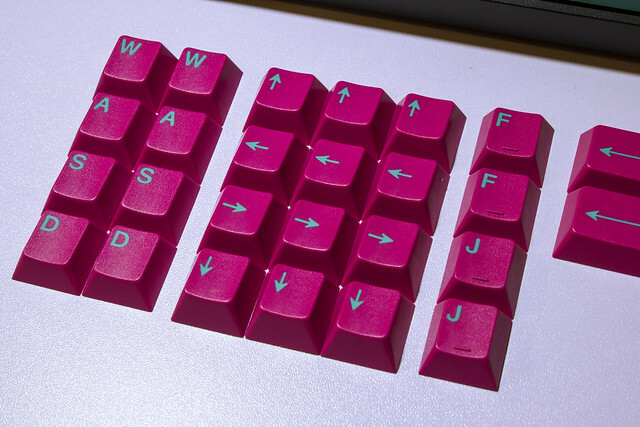 Especially with cyan, magenta, and custom colors like the Triumph Adler GB. - This thread had not been touched for a week, not that unusual but given the other things mentioned.. I don't care either way what the intentions are, though it seemed likely what it was that motivated him to begin posting more often at this time. That's all. 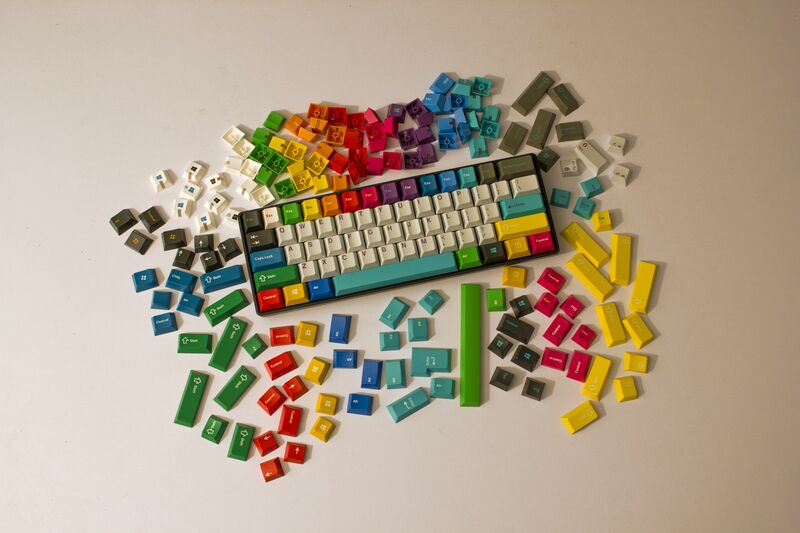 That is a really cool unicorn mix; it would not be for everyone though. Nice pictures. 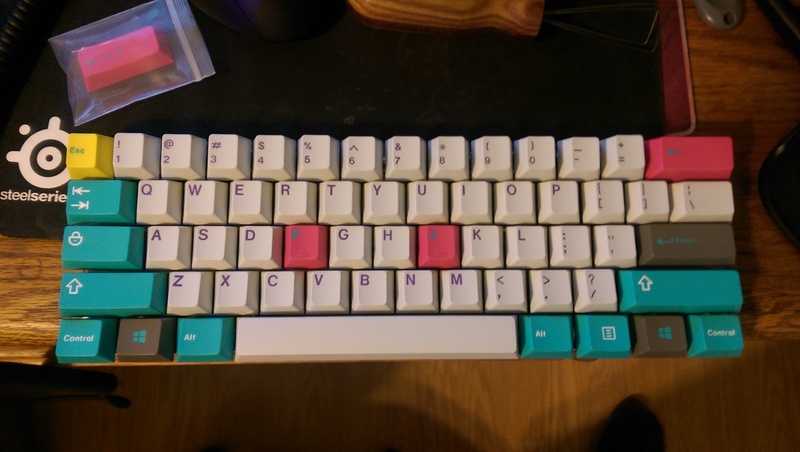 I liked how it looks as though is could have came from the same group buy, with the grey alphas as the reverse alphas, the pink as the color pack, and the spacebar as an add-on. 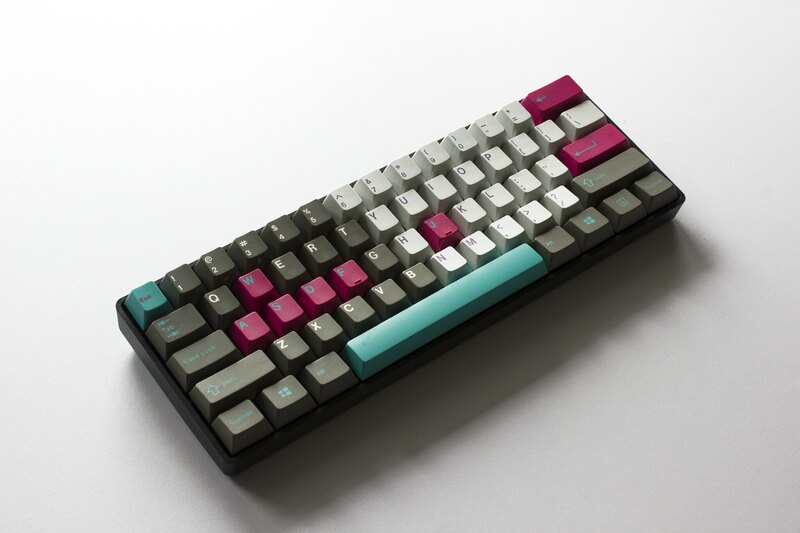 I.m.o it looks equally good with the Dolch alphas as it does with Hyperfuse, though combined the 2 to show how they'd both look. Some more Skidata from me. ^Haha, I never looked at it that way. It totally is. 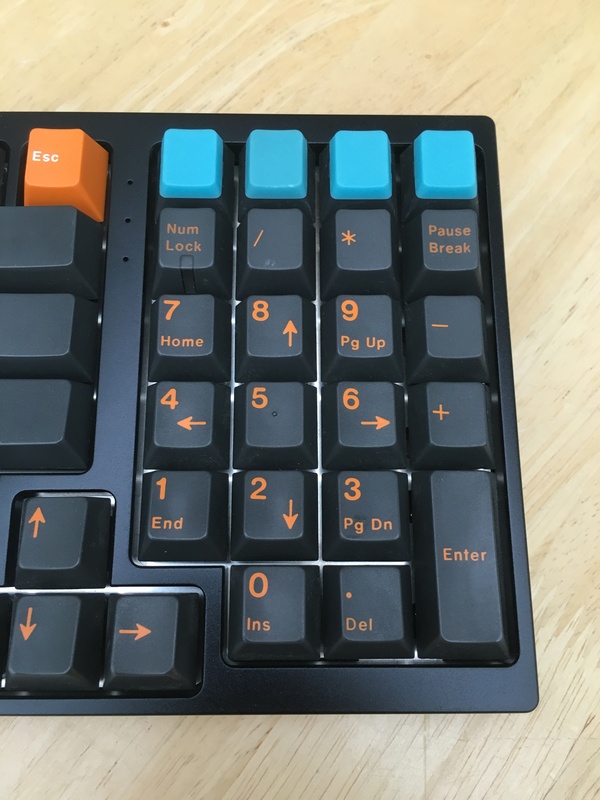 Just missing those portal 1.25 translucent keys. They were available only at Originative, and don't seem to be listed any more anyway. Thank you for your kind words. 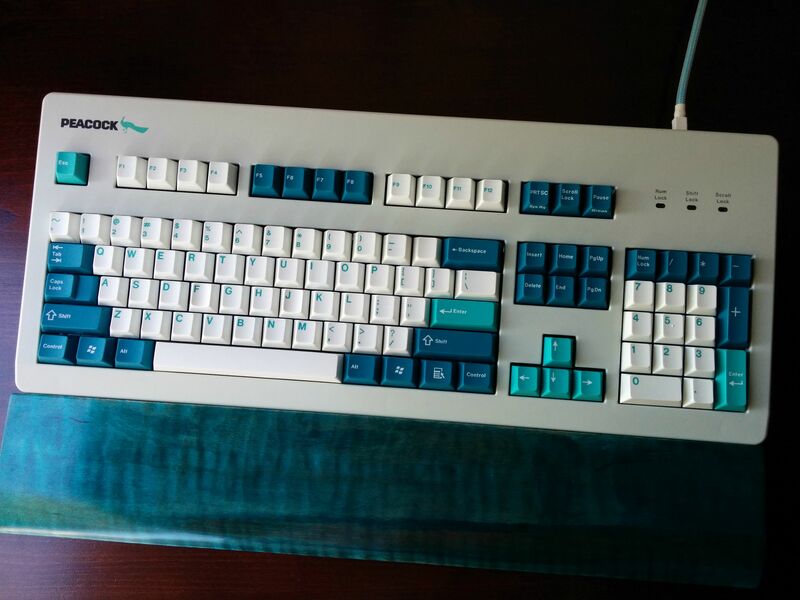 It is a LZ CP keyboard. You are getting dangerously close to Handarbeit.